Merry Christmas! I'm excited to share the finishing touches I made to my apartment a.k.a home improvement project. After cleaning and hiding all my things away from sight, I could finally show how my apartment is after changing all my old lights to the new Philips Hue lights! No kidding when I said all the lights. Well, I only needed 7 lights because I live in a studio apartment with an amazing view of Mutiara Damansara. Classier known as Pearl of Damansara. If you don't know what's Philips Hue, my first post explains it all! Check it out here. 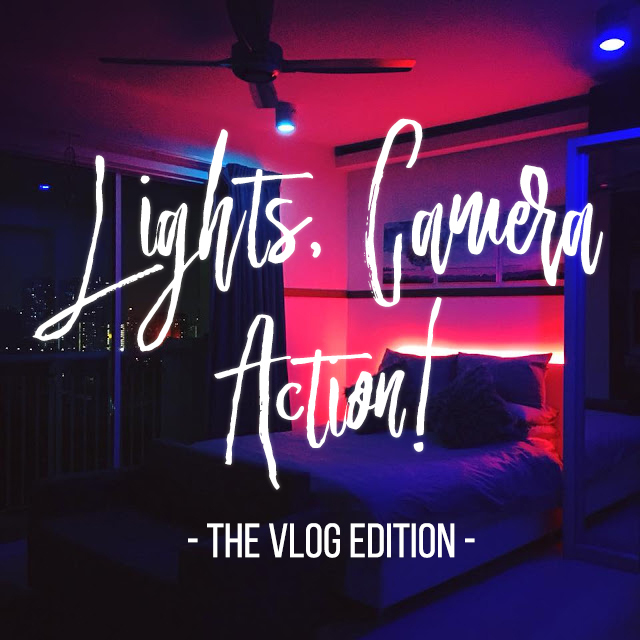 Watch my video here on my mini apartment tour showing off how my apartment is now wifi-connected to change the lights any color or ambiance I want with my smartphone! I'm extremely happy about this because now I have a smart apartment muahahaha and it the lights does whatever I want as it's queen. If you're curious about Philips Hue and want to get started, check out the Philips Meet Hue website. Philips Lighting store located at Menara Axis, authorized Philips Lighting specialists and selected Apple Reseller stores, and Lazada Malaysia. omg...your place looks so cozy!!! Love this! 😱 I love how your place looks with those cool lights!